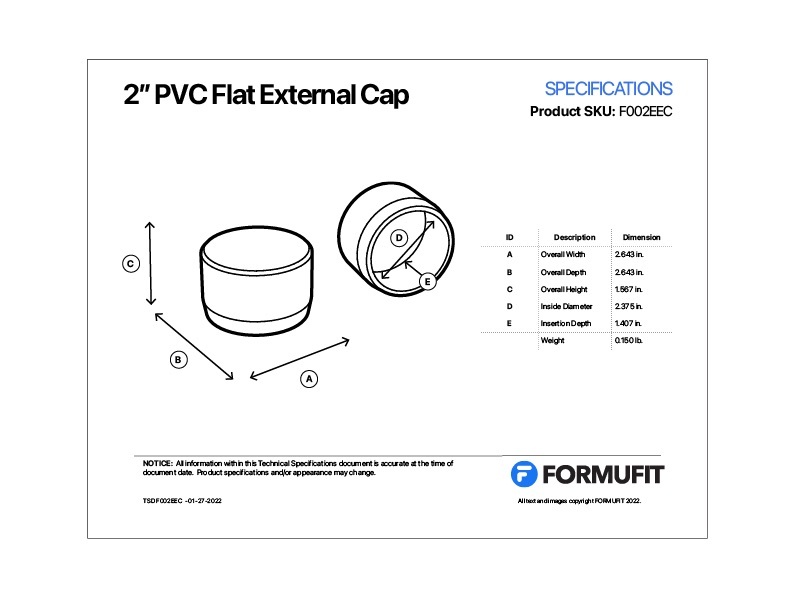 FORMUFIT 2 in. 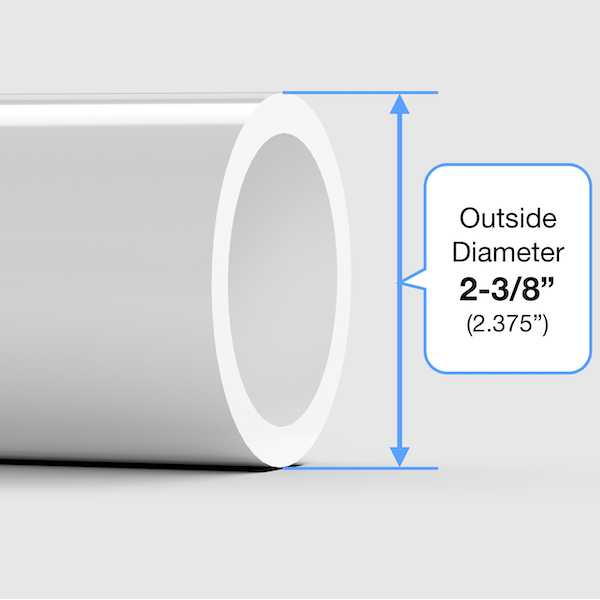 Structural Grade PVC flat-top caps fit over the end of 2" Size PVC pipe, leaving a slightly raised, flat end. 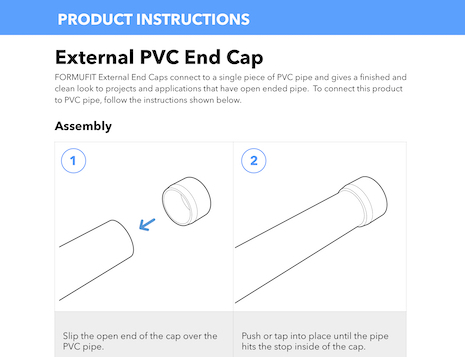 All PVC End Caps have a smooth even surface on the top, giving a stable foundation to any project. Their clean appearance gives a finished and professional look to projects and applications.